A new documentary shows what true beauty is all about. From the moment she was born, Jayne Waithera stood out from the crowd. Her pale, freckled skin and bleach-blonde hair drew stares amid the darker hues more common in her native Kenya. Her own parents didn’t even look the way she did. Jayne was born with albinism, a genetic condition marked by the absence of pigment in the skin, hair, and eyes. 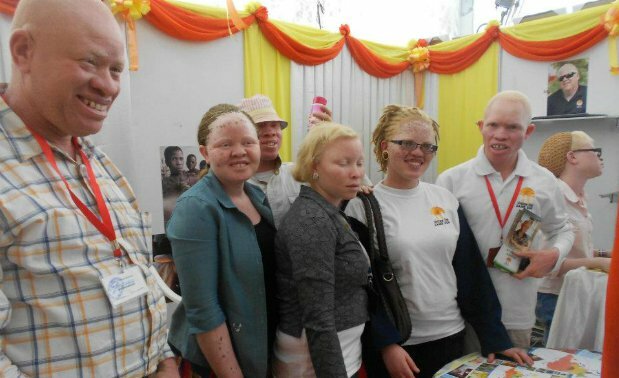 Albinism occurs all over the world, causing vision defects and increased risk of skin cancer due to sun exposure, but in Kenya and other East African countries it carries a unique and deadly weight: due to superstition and misinformation, people with albinism are considered cursed. Some are hunted and killed; countless more face discrimination, social isolation, and poverty. Faced with those barriers, Jayne could have succumbed to prejudice and myth. She could have resigned herself to life as an outcast. She could have given up. But that’s not who Jayne Waithera is. If pale skin defines her outward appearance, what sets her apart on the inside is her willingness to take a stand against intolerance and make things right—not only for herself, but for people with albinism everywhere. And at only 29 years of age, she has already made real progress toward that goal. Jayne is the founder of Positive Exposure Kenya, an advocacy group working to support those affected by albinism, and change how people view the condition in the process. She is also one of the stars of a new documentary showcasing the true beauty—inside and out—of people with albinism and other uncommon conditions. Titled On Beauty and inspired by the cliché-busting work of fashion photographer and activist Rick Guidotti, the film kicks off a week of New York City screenings this Friday at Cinema Village, 22 E 12th St.
As if her story weren’t remarkable enough already, Jayne was recently awarded the prestigious Mandela Washington Fellowship for Young African Leaders, which recognizes the accomplishments of some of Africa’s most inspiring young leaders. As part of the fellowship, she will travel to Washington next week to attend a summit with President Obama. Watch the official trailer for On Beauty below, then scroll down for a Q&A with Jayne about the film, how she become an advocate for people with albinism, and what she hopes to tell President Obama when she meets him next week. Hans Glick: So how’d you become a part of this film? Jayne Waithera: I got involved because I met Rick, the fashion photographer, in India in 2009. He met me at a school for social entrepreneurs, where we were being trained on how to go back to our countries and establish social enterprises that were supposed to breach social and economic gaps in our communities. I was very passionate about albinism issues, and it was at a time when the issues of the killings of people with albinism in Africa came out into media. So when he came to India, we talked and I realized we had the same passion. What he was doing is exactly what I wanted to do: change mindsets and make people think about albinism in particular. So we kept sharing. I think when the film director wanted to do the film, he [Rick] had already planned to come visit me in Kenya. So that is how now they came to Kenya. HG: The film is now showing in theatres around the US. What are you hoping the film’s impact will be? JW: I think the film, first being a visual thing, it's a tool that's very powerful because the context of the film is global. It's not an American set-up or an African set-up. It's not about albinism or the other condition, Weber syndrome, or anything. It's about humanity, and it's about shifting and changing mindsets about people who are different and the way they see or perceive them. HG: You're a big advocate for people with albinism through your work with Positive Exposure Kenya. What inspired you to take such an active role? JW: It's a very personal thing, why I do what I do. I was born with albinism, and I was left by my mother when I was a toddler. And I grew up with my grandmother, thinking she's my mother. My grandmother apparently had no faintest idea about albinism. Can you imagine, 29 years later I'm still trying to explain to her how albinism comes about? So she raised me with love, yes, but knowing nothing albinism. And for me, I remember going to school and not writing notes and getting punished for not writing. The thing is I could not see, but nobody ever told me why. 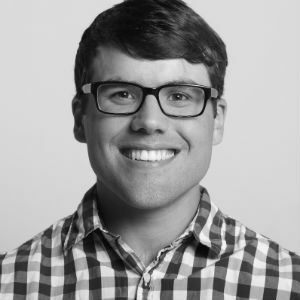 I don't think in my childhood anyone—even my own grandmother didn't understand how I still can't see. You know? You open your eyes, they expect you should see. Albinism comes with very low vision, which even with glasses is not corrected. So that is one part of the challenges I went through, schooling. Culturally, [albanism is] seen like a bad thing in the family. So a lot of people do not want to associate with you, with that family that has a child with albinism or who's just different. So for me that's also a main thing. In my experience meeting other parents [of children with albinism], and other people that I came to meet later, a lot of them had a similar story toward my heart. They were either raised by grandmother or a single parent, or faced some sort of rejection, some sort of lack of information in the entire community. If my mother found a network, a support group, then she would have been there for me, or maybe she would have come back to check on me. So for me, it's more about what I went through that keeps me going, and wants me to not let others go through the same experiences. Because we can make it better. We can't watch and let bad things continue to happen. HG: What exactly is your organization doing to change how people see albinism? JW: One, we have a community outreach program. We use photo exhibitions, we do public seminars and community dialogue. So basically just to make sure the information that's out there is the factual information to counter the myths and misconceptions that communities have. Because I remember growing up in the village, when I was the only child with albinism in that big neighborhood. The stares and the things I got from people, I still remember them. They were not very nice. And I realized we belong to the community, so the community needs to understand us. I see the whole outreach as a benefit to both people with albinism and the community at large. Because just in case you get a child with albinism, at least you'll have a starting point. Our mothers didn't have a starting point. They didn't know where to go, and it got hard. Because there was no information out there. So that's one of the main things. And I also work around economic empowerment. This actually targets parents who have children with albinism, and women who has albinism. Looking at the Kenyan poverty index, a lot of us come from very low economic backgrounds. Without economic empowerment, there's nothing much you can afford. See, for life, you need sunscreen on a daily basis. For life, you need eye care regularly. We used to struggle to put food on the table, so you see, sunscreen is not a priority to many households. And I'm also working on mentorship. Basically making sure everybody with albinism can be their own advocate. If I was able to explain to my teacher that I couldn't see, I don't think I would have been punished. So everybody needs to know, yes, I have albinism, and because of my albinism I cannot see, I have to stand close to the chalkboard and write. This mentorship goes all the way from school to high school and to people choosing careers and employment. HG: Economic empowerment sounds like a great focus area. What are you doing to help people achieve that? JW: I teach them financial management and entrepreneurship. And every coin counts. So they keep on saving on a monthly basis. And then from that they take some part of that money, they contribute, they do a collective project. For example, the one they are currently doing is greenhouse farming. They made sure every month they saved two dollars or three dollars. And then they improvise things for the greenhouse, build the structure, and then maybe I only come in to buy like seeds and do technical support. So they do all the work, and then once they do the sale, they buy something that they all need. For example, when there's no sunscreen they buy sunscreen and share among themselves. So with or without donated sunscreen, they have sunscreen. HG: You were recently awarded the prestigious Mandela Fellowship for Young African Leaders. How’d it feel to receive that, and what do you hope to get out of it? JW: Because it was of course a competitive thing, and it was all about young African leaders who are doing something good in their communities, when I got the news, at first I did not think I would get it. But after the interview from the embassy, I had a very strong feeling like I'm presenting an issue that nobody else has been talking about. So for me I felt it's such an honor to bring across the albinism discussion to other African leaders. I'm all for using it as a platform to raise other ambassadors who will go and sensitize people back in their countries about albinism. HG: I understand you’ll meet President Obama as part of the fellowship. What will your message to him be? JW: I think it's twofold. Everybody knows what is happening to people with albinism in Africa. And I don't think our leaders back home have taken this issue as a priority or as an issue of urgency. And that is true even in countries like Tanzania. They are still killing—even like a month ago, there was a killing of a person with albinism. So I think I would want to know what is his take on what is happening to all people with albinism back in Africa. And two, what his government is going to do to improve the situation, our situation back home. I mean, if a country like America put sanctions on Tanzania until they bring this to an end, it would mean a lot to the country. HG: For you, this is an issue that doesn't just affect Kenyans or even people with albinism. Why should people everywhere care about this issue, and what can they do to help? JW: Albinism in Africa is the same as albinism in Europe or in the US or wherever. Because it's just lack of melanin. There's nothing else. It's just lack of melanin. That is the biological explanation. But when it comes to the culture, I don't think there's a country without an issue, either social discrimination or stigma. I mean, I still haven't come across a person with albinism who thinks their needs have been addressed one hundred percent. So it's global because it's about diversity and it's about being different and it's about trying to fit in and making people understand us. It's something that we need to engage in dialogue everywhere. For me, the biggest way to help is to be an ambassador. Pass on positive vibes about people with albinism, pass on something positive. Educate another person about albinism out there. Pass the message on. For all the latest on Jayne's advocacy work, follow Positive Exposure Kenya on Facebook. On Beauty kicks off a week of screenings at the Cinema Village in New York City on Friday. Click here for ticket info.